Home Industries Capital Goods Gilbane Inc. 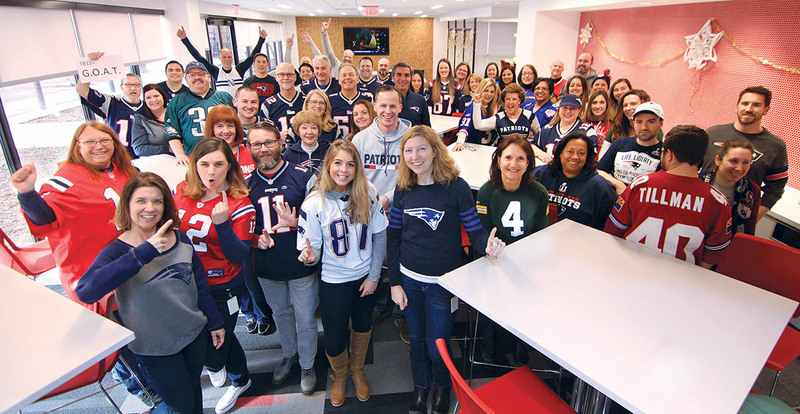 BUILT FOR SUCCESS: Gilbane employees show off their NFL team pride during the company’s show-your-colors day. / COURTESY GILBANE INC.